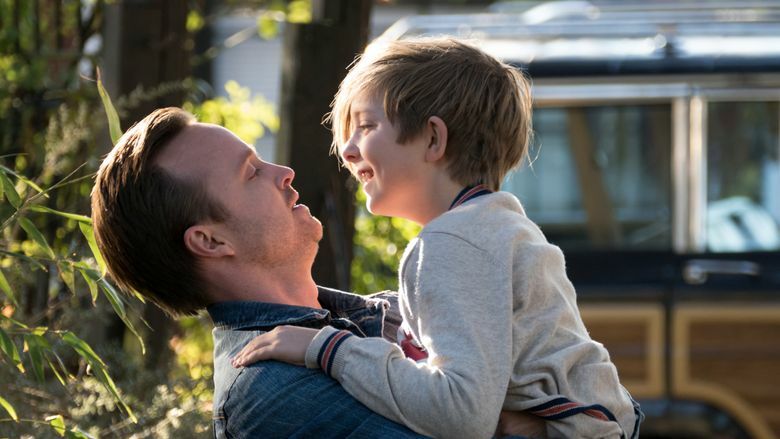 Movie review of “The 9th Life of Louis Drax”: Director Alexandre Aja reveals complicated family dynamics in a story about a young boy whose life has been marked by a series of deadly accidents, and narrowly survived. Rating: 3 stars out of 4. In “The 9th Life of Louis Drax,” what we see is not necessarily what we can believe. But are these really accidents? ‘The 9th Life of Louis Drax,’ with Aiden Longworth, Jamie Dornan, Sarah Gadon, Aaron Paul, Oliver Platt. Directed by Alexandre Aja, from a screenplay by Max Minghella, based on a novel by Liz Jensen. 108 minutes. Rated R for some disturbing images and brief strong language. Several theaters. He’s deeply loved by his anguished parents (Sarah Gadon and Aaron Paul). Or so it appears at first. The picture is like an onion. There are layers here, and beneath them more layers. Peeling them back with surgical skill, director Alexandre Aja reveals complicated family dynamics where everything we think we know about these people is at variance with deeper truths, truths both sinister and heartbreaking. During much of the picture, Louis is in a coma, relating the tale in a series of voice-overs and flashbacks. Away from his hospital bed, another dynamic — this one romantic in nature — plays out between his mother and the brilliant neurologist (Jamie Dornan) who is handling his care. (The father disappeared when the boy took his cliff plunge). Working from a screenplay by Max Minghella, adapted from a novel by Liz Jensen, Aja incorporates supernatural elements — talking seaweed monsters, anyone? — and lovely watery imagery symbolizing the boy’s state of submerged consciousness to build a tale full of mystery, treachery and, in the end, a kind of hopefulness. That hopefulness comes from Louis himself, winningly played by Longworth, who is very bright and loving and extraordinarily knowledgeable about the way the world truly works. He’s a beleaguered survivor whose personality makes you root for a happy outcome to his precarious existence.